Johnathan Miller has harbored a secret flame for his childhood friend Merrily Hunter for years, and as Midsummer’s Eve approaches he’s ready to make his move. 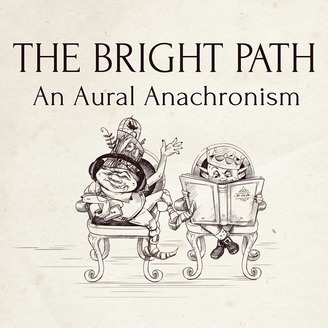 But when a cranky, sharp-tongued professor of Applied History rides into town looking for a lost book, Johnathan and Merrily quickly find themselves swept up in an adventure that will take them to the very edges of history, language, and probability. They join a host of colorful men, women, goblins, fey, snarfs, horses, and strange outsiders, all set in a world grappling with the consequences of scientific advance, political unrest, and religious debate. 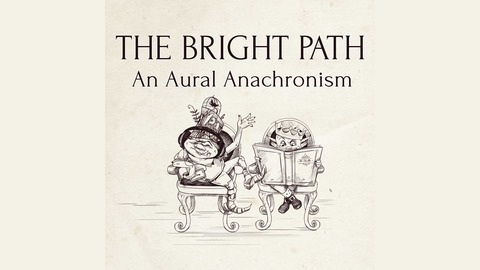 In a shocking development, the Bright Path Podcast returns to the same characters for two weeks in a row. Cyrus, Merrily, and company finally enter Uellodon, only to find the Royal Academy off limits and Wigglus's mother's house a ruin. Cyrus proposes a pub crawl, but two strangers change their plans. The narrator's horrific French accent rides again. Bonus points if you spot the Mathnet reference.